A. Arthur. He chased me. He wouldn’t stop. He would not stop until I said, “Okay, you can come over!” He saw me in “Playing Our Song” out-of-town in Los Angeles before we went to Broadway and he was coaching my girlfriend, Judy Gibson, on her ABC variety show, “Everyday,” I think it was called—and there were about seven people on that show and he was the official vocal coach for these kids. She thought he was great and brought him to see one of our matinees or evening performances in the previews at the Ahmanson and he came back stage and was very complimentary about the show and my performance. He said, “Would you ever like to work on your vocal technique so that you can make these same sounds without hurting yourself, I would like to work with you.” And I wanted to punch him. “Thank you and would you leave now?” How rude. But, he was right! I was singing just fine and everybody else was saying how I had this great pop voice, blah, blah, blah. But, I was singing in a way that, in due time, I would lose my voice and I knew that was true because I had already toured in the National Company of Seesaw with Tommy Tune. I had done some summer stock shows and inevitably, after a long 5-show weekend or traveling I was very often vocally exhausted. He said, “Well, it’s the muscle memory thing and the palate has to be sitting like that to make a certain sound and, if you don’t do that, your cords are going to bang against one another and, even though you like the sound, if you’re not creating it properly, eventually, you’ll wear it out. Plus, there’s a different sound when you do that which is much more pleasurable to listen to.” So, that impressed me and, I set up another appointment with him, and another one and now it’s thirty-two years ago that we’ve been working together ever since and I knock wood on everything around here because I almost never lose my voice. And I’m singing better now than I did when I was in my twenties, with a much higher range, better vocal control and more stamina. A. It was a gradual thing, really. I just learned to trust it. For a while it was a lot of trying to remember the “ah” sounds and hitting the note at the end and the plié and stomach work and use your tummy and all that stuff, and I was very conscious of it and I wasn’t that happy with that. I was like, “Oh, I just want to sing.” And, I guess it was over several years into it, ’84 something like that, because, I started to work with him when I was in ”Playing Our Song” and that was 1978, ’79 was when we opened on Broadway. I didn’t put a night club act together until 1988 and, so, I was doing musicals from time to time but a lot of straight plays. I pretty much worked on it as a vocalist. But, it’s a gradual, what he calls, “Vocal Awareness,” a gradual a-ware-ness, more and more and more how to think while you are speaking and not to let your voice go so low that you hurt your cords while you are speaking. Like, even now, I am more conscious of where I can place my voice. Sometimes I have a very low, gravelly voice like my mother. We both sound the same. If I’m not careful, I’m very low, and that’s not good because when I’m doing that, my cords are banging against one another and, if I have to speak for a long period of time, then I’m going to be injured and I can’t sing. The good thing about knowing someone like Arthur and having Vocal Awareness is that what he teaches fits in every single part of what I do. He’s always open to me; Vocal Awareness is always available to me whether I’m smart enough to use it all the time is another story. 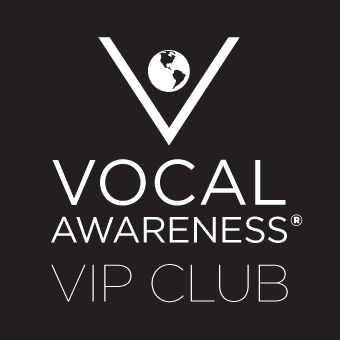 My husband Larry who is not a singer but he does a one-man show also uses Vocal Awareness. Larry has a great voice, a trained voice. He’s on the stage for two hours and he never stops talking, very often yelling. Arthur helps Larry tremendously. A. That at 62, I know a lot of my contemporaries are stopping singing because their voices have left them. They used them up. Some of the best singers that I know and I won’t mention any names but some recording artists, some Broadway people and some concert people can’t sing anymore because they didn’t sing properly. They didn’t get stronger, they got weaker. Mine has gotten stronger and I have a career that continues on in music and I’m still making money doing what I love to do. That’s the best part, not losing my voice. But, the bigger picture is having a career that continues on. I want to not have to be lowering the keys when I want to sing my favorite songs. It’s a big deal to have to say, “Oh, I can’t sing that.” It hasn’t happened yet and that’s good. I’m squeezing a few more years out of this instrument. It’s a beautiful thing.